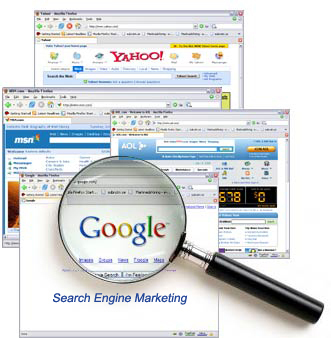 Today Search Engine Optimization (SEO) is a Must. Once upon a time, being found on the web was just about all most small businesses wanted. Usually, with a search engine optimization (SEO) strategy that encompassed using some well-placed keywords and basic link building, your website would start appearing in a search engines results list. With more customers making greater use of search engines to locate products and service providers, SEO is now more than a good idea; its a must. Your website and correspondingly, your business has never faced so much competition from comparable firms down the street, or around the world. There is no longer a simple formula for being included in Google or Bing results; businesses and organizations need to be at or near the top of the list for search queries that attract qualified people and audiences who are ready to convert. Unless a customer is doing some serious comparison shopping or looking for something specific, its likely he/she wont go beyond the first few selections, let alone go on to page 2. SEO has spawned a host of consultants who specialize in crafting strategies for various businesses and working with a SEO expert can be very valuable, especially when it comes to the structure and architecture of your website. But there are several things you can do on your own to optimize your website. The power of keyword research and targeting. The fundamental principle of targeted keywords remains critical. Think about phrases and multi-word search queries customers may use for services, products and brands like yours and incorporate them into your content. Including the right terminology in headings (htags), bolded subheads, internal links, page titles, blog post titles, embedded video titles and descriptions, site URLs and site metadata can help communicate the keyword themes and topics of your pages to the search engines. Timely, relevant, authentic content is what site visitors and search engines want. Another SEO principle of adding fresh and timely content to your website that your site visitors want or need also continues to hold true. Theres no easier way to continually keep your site up-todate than with regular blog posts, tweets, Facebook business page updates and so forth. Make sure your posts and other content are engaging and relevant and clearly state value or benefits of the content. Write text that is credible and reflects your brands personality. It is often better to be specific and share detailed information focused on a niche than it is to be broad and general. Site visitors read more when they know the content has exactly what they are searching for. Word of mouth still rules, even on the Web. In order to attract more customers locally, encourage your current customers or clients to post reviews of your company or organization on sites such as Google Places and Yelp and on other sites or apps. Make sure the reviews are brief yet thorough and not the kind of overly glowing raves that may raise a readers suspicions about its validity. Ask for peoples honest opinions, and if you receive legitimate criticism online handle it professionally and respond with customer service in mind. Mobile = the future of the Internet. The majority of Internet searches now take place on mobile devices, so make sure your website is responsive and designed for screens of all sizes with basic information and important call to action at the top. Mobile technology is accepted and even loved by people all around the world. Experiencing the web on phones, tablets and wearable technology is going to continue to grow. Make certain your company or organization is prepared to have a place in this new online world. Sarah Benoit is founder of Creative Original Inc., AshevilleWebDesign.net, a small business web design firm, and a frequent SCORE seminar presenter. She is also the lead instructor and director of training at the JB Media Institute, an online marketing educational program based in Asheville. To learn more about marketing your business on the web, contact ashevillescore. org. SCORE which originally stood for Service Corps of Retired Executives is a nonprofit organization whose volunteers provide free, confidential business mentoring and training workshops to small business owners.